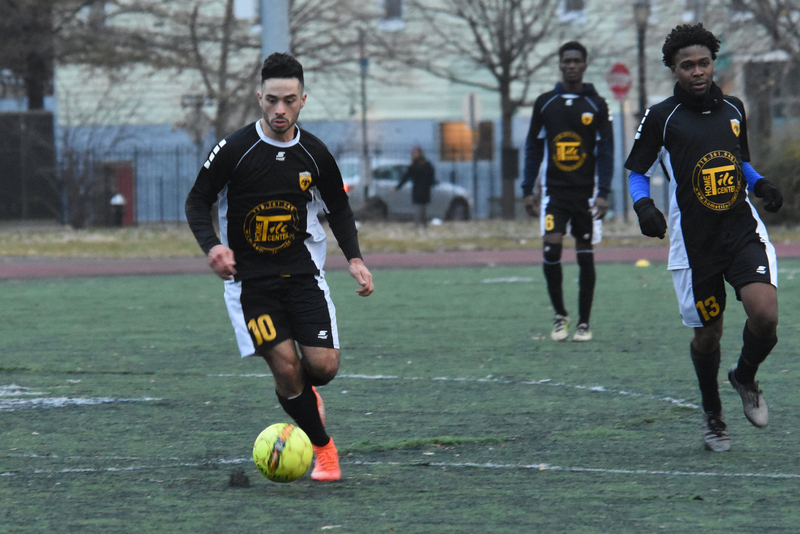 Central Park Rangers substitute Stephanos Hondrakis scored an 89th minute game-winning goal against his former team Doxa SC to grant CPR a 3-2 win over the Greek club on Sunday afternoon at McCarren Park. Doxa was the first team on board as Patrick Alvarez controlled a crossfield ball before whipping a left footed shot in the net from a tight angle in the sixth minute. Central Park wouldn’t find an equalizer until the 62nd minute when they were rewarded a spot kick for a hand ball on a Doxa defender in the box. James Greco converted the penalty, smashing the ball to the right corner of the net. The Rangers scored a go ahead goal six minutes later as Greco curled a stunning free kick to the top left corner of the net. The Greek side brought itself back on level term in the 83rd minute. CPR conceded a penalty for a foul in the box. Micheal Corbi netted from 12 yards for Doxa, picking the left corner. Hondrakis scored the winner for CPR one minute before regulation. The forward brought Alex Presciutti’s long ball down before steering a low shot to the right corner of the net. 1. It’s about how you finish: Central Park Rangers had the lead for 16 minutes while Doxa was on top for 56 minutes. 2. Stuck on two: Doxa scored two goals in their last three league-matches. Before their match-up with the Rangers, the Greek side tied with Zum Schneider 2-2 and lost to NY Pancyprian Freedoms 7-2. 3. It was a bottom of the table clash: CPR moves four points above the dropzone while Doxa remains in last place with two points. Central Park Rangers and Doxa exchanged the lead twice and were tied twice as well. CPR forward Stephanos Hondrakis explained what it was like to be in this up and down battle. Central Park outlasted Doxa 3-2 in the thriller, thanks to Hondrakis’ late winner—against his former club. This win gives CPR some breathing room from the dropzone, which Hondrakis is very pleased of. “It’s a very sweet feeling,” the 24-year-old said. The former City College of New York striker was confident he would find the net when his head coach Eli Vovsha subbed him in the game. Hondrakis also complimented his teammate James Greco. Greco scored a brace.